This just in......Smarty's poll numbers are increasing despite some of the wacky things that he says in the media. 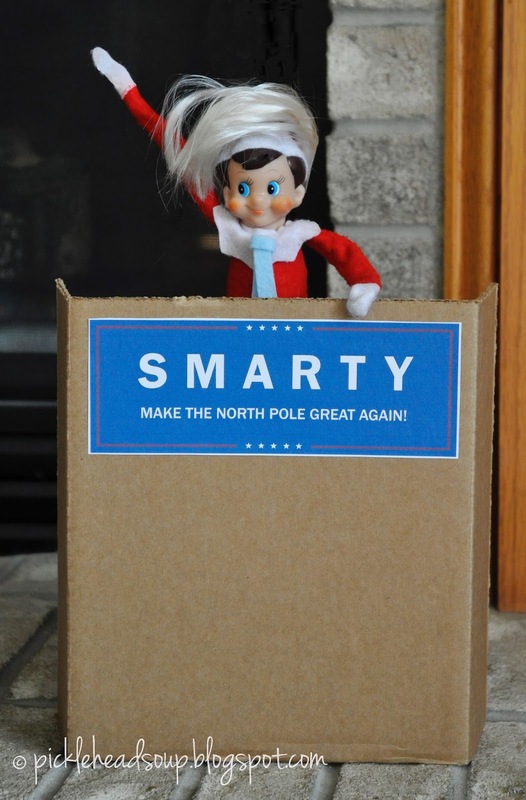 The North Pole News is reporting that he is still climbing in the polls. Here's and excerpt from his latest speech in the Candy Cane Forest. "We've got to do something about the North Pole, I mean, the toy shoppe, it's a dump. I'm going to rebuild it and make it fabulous. It's going to be HUGE. And that Rudolph, he's a loser. We need to build a wall to keep all of these misfits out of the North Pole. Let's banish them to an island. And as for Santa...he is not smart, that one. I am a much more experienced businessman. I am smart and rich and I can streamline the entire Christmas process and make it GREAT. I'm going to make a great President!"